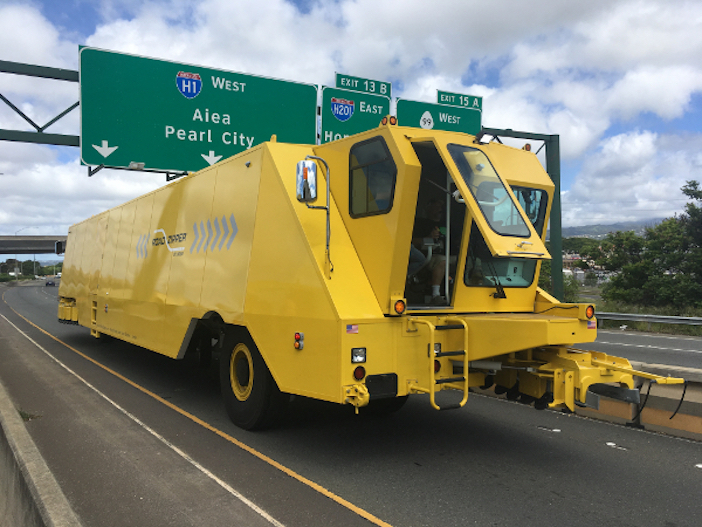 The Hawaii Department of Transportation (HDOT) has taken delivery of a new and improved Zipmobile barrier moving machine that will help improve morning rush hour traffic into the state capital Honolulu by creating a temporary HOV (high occupancy vehicle) lane. The custom machine was built in Rio Vista, California, by Lindsay Transportation Solutions at a cost of US$1.95m and will go into service in November. The new machine will replace one of the two current Zipmobiles, which have both been in service for more than 20 years. One of the machines will be kept active as a backup machine. Parts will be salvaged from the other machine and stored in case they are needed. The barrier moving machine transfer width can extend up to 30ft (9m) – 6ft (1.8m) longer than the current machines – which provides more flexibility on barrier location and improves safety with a wider shoulder area in certain sections of the route. With a more advanced Tier 4 diesel engine, the new Zipmobile is more environmentally friendly as it produces 96% fewer pollutants, such as nitrogen oxide (NO) and particulate emissions, than the previous machines. HDOT thanks the US Environmental Protection Agency (EPA) and the Hawaii Department of Health (DOH) for assisting with a grant under the federal Diesel Emissions Reduction Act (DERA) of 2010, to replace older, higher emission diesel vehicles, with newer and cleaner vehicles. Through the grant, the DOH will provide nearly US$390,000 for the new vehicle, bringing the total cost to HDOT down to US$1.56m. HDOT created the Zipper Lane in 1998 and expanded it into a second lane in August 2016, which boosted usage by more than 40%, increased the average speed from 45mph to 50mph (72.4 – 80.5km/h) and decreased the number of vehicles in the single occupancy vehicle lanes by approximately 2,300. The Zipper Lanes are open weekdays from 5:30-9:00am and are open to vehicles carrying two or more occupants, motorcycles and electric vehicles with an EV license plate. The Zipper Lane is 11.3 miles (18km) in length and begins on the H-1 Freeway at the Managers Drive Overpass near Waikele and feeds into the Nimitz Highway Express Lane. 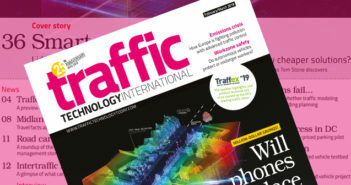 The Zipper barrier system provides much-needed extra capacity to highways during peak traffic hours at a fraction of the cost of adding additional permanent lanes. The current cost to operate Hawaii’s Zipper Lane is less than US$2.1m a year and the Nimitz Express Lane is US$138,000 annually. The Zipper barrier is typically opened and closed in approximately three to three and a half hours, with the setup and breakdown of the Nimitz Highway Express Lane accomplished in 30-45 minutes.